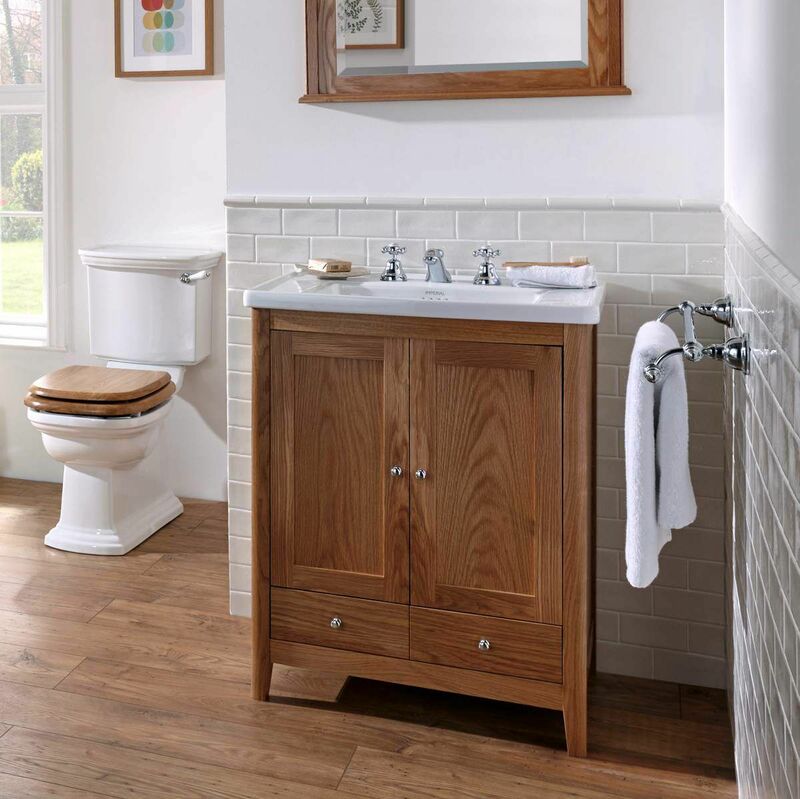 Outfit your bathroom with this classic Imperial Bathrooms Esteem vanity unit and Basin. 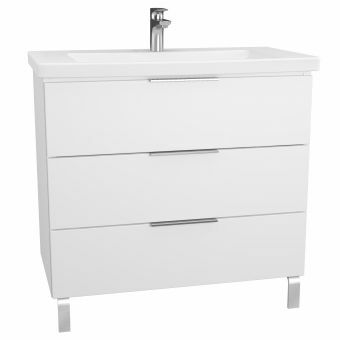 The white basin is a 685mm size, and includes a choice of 1, 2 or 3 tap holes. 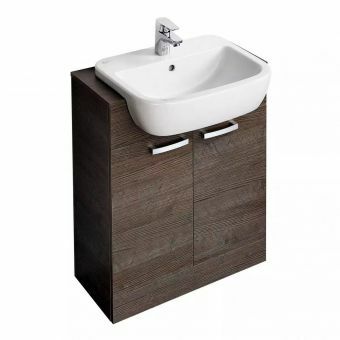 Taps and fittings are not included, but are available separately. 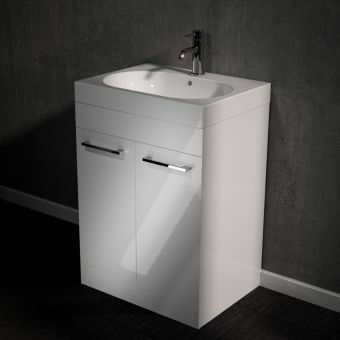 The unit has an overflow, which is suitable for slotted wastes or pop-up wastes. 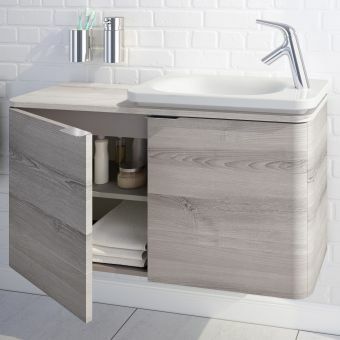 Below the basin, you'll find a pair of rectangle-shaped cabinet doors made from solid wood and your choice of a Wenge or Natural Oak finish. 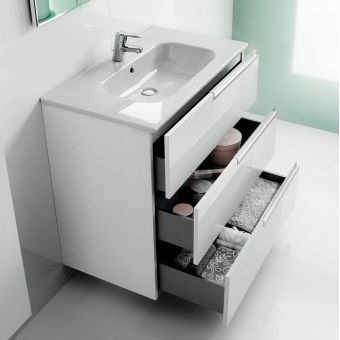 Two drawers offer the perfect opportunity to keep your toiletries organised, and shiny round knobs complete this appealing ensemble. 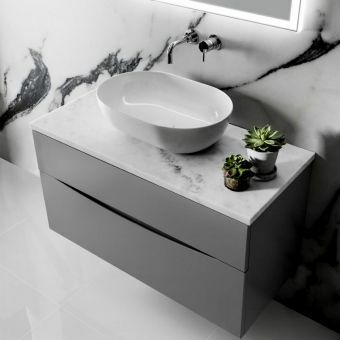 Purchase this vanity unit and basin pair today to decorate your bathroom with a piece that's as visually attractive as it is practical.